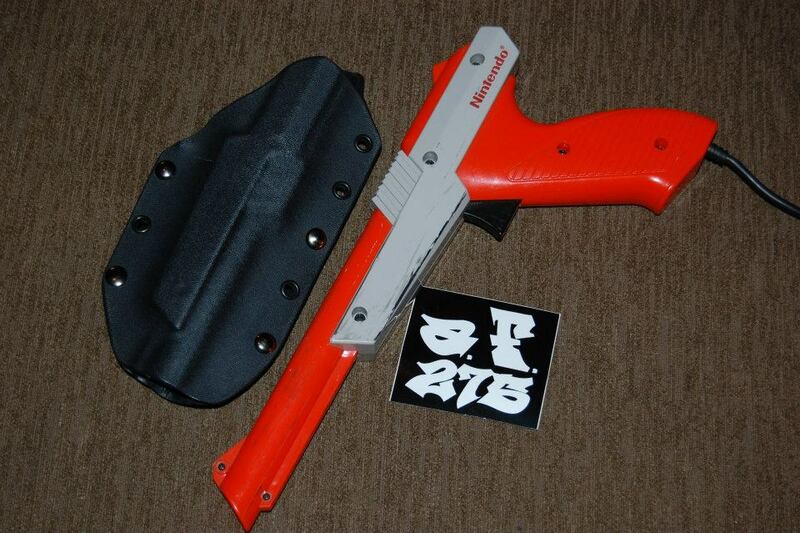 Why can’t someone release a 22 based on that Nintendo zapper.. Beretta neo is close but i want one just like it. 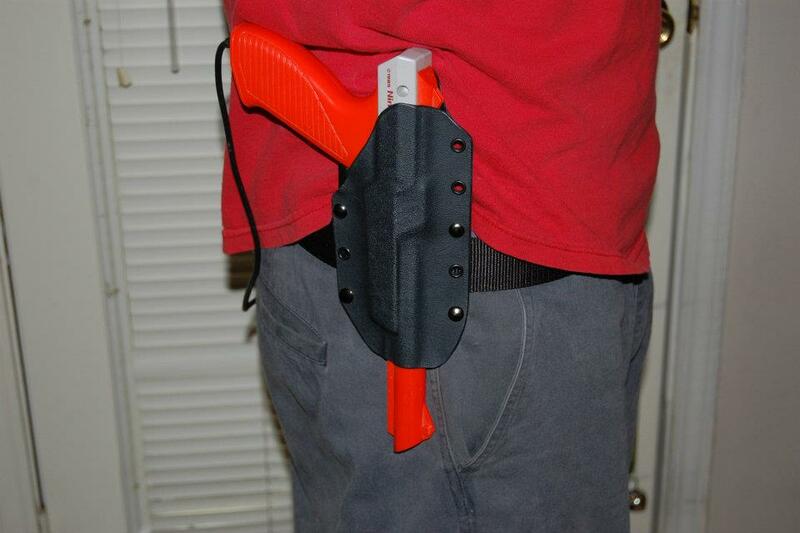 Thanks a lot for posting my holster. It was a really fun and tricky project. We should have a video of it in use very soon. We have sat around for a while looking at guns like the Neo seeing if there would be any you could make furniture to make one into a zapper, so far nothing really works. Only guess like you said is a manufacturer will have to build one from the drawing board. This totally reminded me of that cartoon, Captain N, from the 80’s. You should do a modern update of the costume with this and submit it to some game sites! So that’s why the glock grip angle feels right… Many a duck, and clay pigeon fell to my zapper. Lots of laughing dogs too. I have one of the original grey zapper guns. Oh man, I wanna see you open carry this to a gun show. are these brady campaign approved? No. They could be dangerous. Go smoke another cigarette, have some booze, and drive a-mile-a-minute to cheerleading practice. There was supposed to be a “end snark” comment, and a disclaimer that my comments were “adding” to M’s snark, not bashing M. ? ENDO hates greater/less than symbols, apparently. Haha yea it thinks you want to do an unauthorized HTML tag. Nice! I preffer making my own kydex hoster instead of buying… This is a fun idea. Depending on the game, if a high capacity mag ban ever happened you’d be breaking the law plugging this in. Know your state laws, Duck Hunt at least is CA approved. Now I want an open front race holster. Because Duck Hunt.